The president of a company engaged me to help him understand what appeared to be an ongoing conflict between two of his key employees. A year earlier, the president had hired his “dream team”—a group of individuals whom he believed could change the face of the company in the marketplace. Each of these hires had been very successful previously and, on paper, had all the credentials needed to make the company a standout and move it ahead of the competition. But that didn’t happen. What happened instead was that two members of the “dream team” became embroiled in bitter disputes that involved manipulation, back-biting, self-righteousness, over-confidence, intimidation, unrealistic certainty of their position, and more. Neither of the employees in question had behaviors that rose to the level of termination, and both had levels of productivity and quality of work that were exemplary. Their contentious relationship was only a distraction at first, but it began to involve others in choosing sides and creating divisiveness on the team. The president recognized that something had to be done. The conflict the president was witnessing is associated with behaviors of “toxic” employees. Toxic employees are ultimately quite harmful to an organization because their undermining, unethical, or questionable behaviors can spread to other employees. However, the complexity in dealing with toxic employees is that they are often high performers. In fact, according to recent research, compared with the average employee, the toxic employee is often more productive as well as more likely to better follow processes, rules, and procedures, often with rigid adherence. Although these employees’ behaviors may be incredibly disruptive, their ability to be productive—and appear (to management) to be acting in the best interest of the company—keeps them employed. It is only when enough damage has been done and the complaints from other employees reach a fevered pitch that management is forced to take action. Over-confidence: Toxic employees appear to have supreme confidence and the sense that there is nothing they can’t accomplish. Over time, not having a sense of limits or boundaries can cause them to engage in behaviors that may verge on misconduct. Self-regarding: Toxic employees consistently put their interests or functions above those of their colleagues. They demonstrate arrogant behaviors that suggest their approach is the only right one, and that they will prevail at all costs. They will not demonstrate any collaborative or supportive behaviors with their colleagues. In this sense, they exhibit a low level of emotional sensitivity, similar to both narcissists and psychopaths. Rule-follower: Toxic employees will regularly insist that their adherence to the rules of the organization is the foundation for their differences with others. They may claim that rules should not be broken and will steadfastly follow them whenever it suits their purposes. Interestingly, these same ostensible rule-followers are more likely to be terminated for actually breaking the rules. Because toxic employees are usually productive, many of their behaviors are likely to be overlooked or accepted as the price of having a “diva” on the team. This rationale can also be used to discount the early warning signs reported by their disgruntled coworkers. The clever toxic employee can even make others feel responsible for conflicts that the toxic worker has initiated. They are the kind of people who blame others for having a white carpet if they spill red wine on it! As if having toxic employees were not bad enough, the situation is often exacerbated by their ability to “recruit” others to follow in their footsteps. Their intimidation, persuasiveness, and convincing sense of being right have the effect of causing others to fall in line. This becomes a vicious cycle, whereby toxic individuals and their followers reinforce detrimental behaviors and compete increasingly with others in the organization! Another downside is that those having close, regular contact with toxic employees have a higher chance of being compromised and terminated themselves, compared with those who work with non-toxic employees. What is the best solution for managing and dealing with a toxic employee? If you identify a toxic employee in your workplace, your best strategy is to take the high road. The odds of turning a toxic employee into a good employee are low, at best. In fact, a company is better off replacing a toxic employee with an average employee than spending time and energy trying to transform the toxic one. Of course, prevention is the best solution. Note the predictors and traits of toxicity discussed above and do not hire candidates who display these traits. If your team needs a cleanse, as with the president and his two problem employees discussed earlier, a manager should bring the team together to remind them of their shared goals. By re-establishing the vision for the team, managers can bolster the productivity and morale of employees, while also maintaining the effectiveness and credibility of management, thereby decisively counteracting any harmful behaviors. Bill Gates dropped out of Harvard, and his first start-up, Traf-O-Data, was a big failure. J. K. Rowling was divorced, depressed, and on welfare. Theodor Seuss Geisel had 27 different publishers reject his first book. Albert Einstein was expelled from high school and was refused admittance to Zurich Polytechnic. What these people all have in common is that, at one point in their lives, they were abject failures. Yet without these “failures,” we would not have Microsoft, the Harry Potter series, Dr. Seuss, or the Theory of Relativity. Some people seem destined to succeed in their chosen endeavors, in spite of any failures they encounter along the way. Others seem to experience difficulty bouncing back from defeat or disappointment, and they have only intermittent success or no success at all. What is the difference? Is it intelligence? Interpersonal skills? Charisma? Or is it just luck? There is research about the relationship between emotional intelligence and success, personal characteristics and success, and intelligence and success. However, the research in those areas does not explain how the view or perception of one’s success is what leads ultimately successful individuals to be persistent in the face of failure. The most important ingredient to being successful on a sustained basis is how we interpret our success. This interpretation, or our explanatory style, is the way we explain our success or failure to ourselves—it is directly related to how likely we are to experience success or failure in the future. Are you a complainer and subject to focusing on a black cloud in every silver lining? Are you prone to having a consistently negative and pessimistic view of life, needing “a check-up from the neck-up,” as motivational speaker Zig Ziglar used to say. Or are you someone who regularly sees the glass as half full and therefore failure as a passing event and a learning opportunity on the way to success? Optimism, pessimism, resilience—or the lack thereof—are all rooted in how we talk to ourselves about our successes and failures. Our interpretations make all the difference in whether we have any control of our lives and our outcomes. Personal Control: Successful people believe that their success is a result of internal qualities over which they have some control, such as attitude, effort, preparation, experience, or skill set. People with lower levels of success feel like success is more dependent on external circumstances over which their control is minimal. As a result, when a typically low-performing individual does experience success, they attribute it more to luck or coincidence. A typically successful person experiencing the same success will recognize the link between the outcome and personal characteristics, such as their effort, preparation, skill set, attitude, and determination. Generalizability: Successful people believe that success is not an accident of time, location, or circumstance. Instead, they believe they will continue to have similar successes at other times and in other settings. Successful people believe that if they are successful in one situation, they are capable of being successful in other situations. That does not mean they avoid risk or failure. Quite the opposite—they are not afraid of risk or failure because they are determined to persevere until successful. Both Abraham Lincoln and Winston Churchill were not successful until late in life, after they had both experienced many public failures. In spite of those earlier failures, both of them changed history dramatically. Stability: Stability is the degree to which you think that the capabilities you have are reliable over time, because they are an internal part of you. Successful people know that they can rely on their capabilities when learning new tasks and facing unfamiliar challenges or situations, while unsuccessful people experiencing success do not have the confidence that it can be attributed to a stable trait they possess. They are more likely to say they had a “good day,” “dumb luck,” or “a one-time thing,” not likely to happen again. These people are more likely to live life like a lottery ticket purchaser, with the expectation that the odds are strongly against them winning or being successful. The roots of victimization are feelings that, no matter what one does, the outcome will be not be good. Individuals who have a “victim” mentality go through life believing the “cards are stacked against them,” and have little motivation to make a difference in their lives or their work. Risk is to be avoided at all costs. Failure and lack of effort begins to define them. On the other hand, people who are consistently successful in life believe that success is a product of personal choices that we all have in response to the circumstances in which we find ourselves. There is a clear link between the outcomes of our lives and the attitude, effort, persistence, and abilities we apply to various circumstances. When failures do happen, they are considered passing events that do not define us. Zig Ziglar cautioned us to “remember that failure is an event, not a person.” Taking on new risks and challenges can be seen as adventures to explore that offer new and exciting things to be learned. What defines us is a realistic appraisal of our abilities and attitudes, including a confidence that can be applied to any new situation. How we view our success or failure will either move us forward or back. How will you choose to interpret your successes and failures? Once again, Bob told our manager that he would be willing to take on the largest and highest-profile project in the business. Pleased with the eagerness of our coworker to volunteer, our manager smiled and gave him a thumbs-up at his initiative. But the rest of us on Bob’s team shuddered inside. When our coworker committed to the project, he was essentially committing the rest of us, because he was not about to lift a finger to get the project to completion. We knew that working with Bob meant we would be cajoled, conned, manipulated, shamed, and otherwise maneuvered into doing tasks none of us had signed up for. We also knew that, upon successful completion of the project, Bob would take all the credit. At first glance, an outsider would wonder why we did not have the chutzpah to stand up to Bob, walk away, tell our manager, or choose to take any number of other actions that would circumvent the inevitable problems ahead. In hindsight, we would have those same thoughts. How is it that a coworker, and an equal on the organizational chart, can get away with doing so little work and still get so much credit? Consistent and persistent manipulation of others, especially those who get in their way. Masterful deception (exaggerating or outright lying) to get their way. Crafty deflections (distractions or half-truths) when confronted about their behavior. With regard to accountability, charming psychopaths can be so slippery that pinning them down is like “nailing jello to a wall.” You often sense that something is wrong, but you just can’t put your finger on what it is. The truth is that employees like Bob can be extremely charming and personable at the same time they are being ruthless and vindictive. Charming psychopaths are particularly good at managing up, and those higher in the ranks of the organization somehow miss seeing the underlying—and undermining—behaviors. Unlike many personality disorders that are rooted in anxiety, the psychopath has difficulty feeling at all. They crave power and control over people. The hallmark of the psychopath is an inability to experience remorse or empathy. Often, they themselves have no feelings at all. In this regard, the only relationships the psychopath is able to sustain are those that narcissistically serve his/her own interests. These relationships involve a truly sadomasochistic dynamic, in which the recipient of the psychopath’s behavior tolerates the abuse and manipulation that the psychopath dishes out. However, even these relationships tend to be short-lived. In contrast to the anxiety normal humans feel under pressure, psychopaths become fearless and more focused on their target or goal. The psychopath has an uncanny ability to read people and exploit their vulnerabilities. Hence, in the workplace, the psychopath is able to identify the most vulnerable of coworkers and exploit them to his/her end. They are guiltless, callous, self-centered, and can be superficially charming. Because of their unbridled confidence, they can be very attractive, initially, with their charm and stories of success. They can have the very characteristics that can appeal to executives in management, who can confuse their superficial charm as charismatic leadership. In fact, it is not unusual to see high-functioning psychopaths in the highest levels of an organization. Their focus and ability to get things done, even nefariously, can serve them well. In our example of Bob volunteering himself and, by default, his coworkers to take on a very important, high-profile project, we see Bob’s craft at work at a high level. Although Bob may attend an initial meeting aimed at organizing the project, do not expect him to leave that meeting with any meaningful responsibilities, if any at all. As a master of deflection, he may say things like, “Mary would be great to handle those details,” or “Those issues fall right into John’s skillset.” In these unwanted, unsolicited, and unauthorized delegations of duty are implied compliments to his coworkers, making them difficult to oppose, especially publicly. Initially, Bob’s employees were taken off-guard by his charm until later, when it was too late and they realized they had been duped. When requested to take on any responsibilities himself, Bob will have any number of reasonable-sounding excuses to decline. However, he will want to be at the progress meetings with the manager and may even facilitate those meetings to make certain he appears to be in charge and receives the credit. Behind the scenes, Bob is constantly “stirring the pot” and creating dissension among team members, knowing that his lack of involvement will be overlooked in the midst of the dramas and conflicts he instigates. By creating confusion, Bob provides himself assurance that, if the project should fail, he has the team’s dysfunction to blame. How do you deal with this kind of personality in the workplace? Keep in mind that the chances of psychopaths changing their behavior is nil! Corporate psychopaths have an entrenched personality style that allows them to incredibly adept at maneuvering and counter-maneuvering for self-serving purposes. So when you encounter high-functioning psychopaths, keep these tips in mind. You do not want to be another body left in their destructive wake. As soon as you are able to identify any high-functioning psychopath (the sooner the better), work to distance yourself. You do not want to be on the same team or affiliated with them on any project. Decline opportunities to work together as politely as possible. If the psychopath is your manager, very quickly find another part of the organization in which to work—or another job! Workplace psychopaths can be ruthless and have no trouble bending the truth or outright lying. Which is why confronting them comes with great risk. Remember, they are at their best at times when normal people are anxious and fearful. Confronting them will not lead to any changes in their behavior; and once confronted, they will actively set out to destroy you to coworkers, your manager, or anyone else who will listen to them. The greatest weapon that a psychopath has is to manipulate you in a way that makes you doubt the way you think about yourself, rendering you more vulnerable to his/her maneuvering. Remember that psychopaths’ behavior is about them, not about you, and do not take their compliments to heart any more than you take their condemnation to heart. You are no better or worse than when you first met them, and you are hopefully more aware. Do not lose a sense of who you are in working with them. The bottom line is two-fold: first, you cannot change the behavior of high-functioning psychopaths; and second, you do not want to change your own behavior in response to theirs. Be aware, be on guard, and be yourself. Recently, a client called me to ask for my counsel regarding an upcoming performance discussion with one of his subordinates. He told me about the individual’s declining performance, including several instances of the employee failing to deliver on agreed-upon projects. The employee was contrite and apologetic, but his performance had not improved. In addition, the employee had experienced some personal problems over the past year, for which my client had made several allowances. It was clear that my client had delayed the discussion for some time and could delay no more. The time had come for a direct and unambiguous performance discussion. My client expressed significant apprehension about having the discussion and asked my advice on how to handle the meeting. Violations of company policy or ethical standards are easier to address because they are cut and dried. However, discussions about performance issues are not always as clear-cut. Such issues tend to be more about the behaviors of employees, which are more difficult to discuss because they may cause employees to feel defensive, embarrassed, or nervous. My experience is that when leaders have faced difficult personnel decisions, they never say, “I wish I would have waited longer before taking action.” Quite the contrary! They always say, “I wish I would have taken action sooner.” The effects of waiting to take some kind of corrective action include loss of time and productivity. More important, leaders who are slow to address performance issues risk demonstrating a lack of credibility and confidence to subordinates and colleagues. Why do managers consistently delay the timing and directness of difficult performance conversations? The major reason they procrastinate is a lack of self-confidence. They are uncomfortable having potentially tense and contentious discussions in which they do not feel in control of the outcome. In addition, I see leaders delay having these discussions because they want so much to be liked and admired that they would rather be taken advantage of than risk hurting someone’s feelings. The greatest error leaders can make is to lose sight that such conversations need to be unemotional reviews of the facts of the individual’s performance, not emotional displays of feelings. 1: Data. Come to the meeting prepared with clear data about the individual’s performance. To have a productive performance discussion, it is critical for managers to have provided clear expectations for work behavior and responsibilities (including quality, quantity, and timeliness of efforts), as well as to have documented instances when expected behaviors or deliverables were not met. 2: Focus. Have a clear agenda about what you are going to discuss, and stick to it. Because the meeting will be based on facts and not opinions, the tone of the meeting should be professional and any degree of emotion should be minimal. The manager can always respond to difficult retorts by the subordinate by staying calm and guiding the discussion back to the facts at hand. 3: Plan. Prior to the meeting, decide with clarity what changes are required, what the expected outcomes should be, and by when you expect to see improvements. In meetings of such importance, it is unfair and unprofessional to make it up as you go. If the manager does not have a plan, including the consequences for failing to meet expectations, the outcome of the meeting will be sub-optimal. A less-than-good outcome is not beneficial for either the individual or the organization. The next time you are faced with having a difficult conversation, make sure to plan ahead, have data to support your positions, keep the discussion focused, and go into the meeting with an idea of the desired outcome. Being prepared will make these interactions more productive, and you will waste less time and energy worrying beforehand. We all know passive-aggressive employees. They are consistently late—for meetings, with assignments, even for social engagements—and tend to procrastinate and “forget” to complete a task or deadline. They may even be so bold as to ask their manager to send them reminders to get something done. Now that is audacity! No matter what “tricks” are put in place to manage their passive-aggressive behavior (e.g., scheduling them to arrive 30 minutes early, telling them a deadline is due two weeks before the actual due date, etc. ), any possible gains they make quickly erode and they revert to their former ways. In addition, passive-aggressive employees can be characterized as being closed to new ideas and stubbornly holding onto their own point of view, even in the presence of data to the contrary. They may play clueless instead of defending their point of view, but the closed-mindedness remains. These manipulative patterns of behavior can also pervade their personal lives. It is only when these individuals offer benefits that far outweigh their liabilities that managers, employees, and friends tolerate—and adjust to or excuse—the disrespectful or manipulative behavior. Passive-aggressive employees always have a reasonable excuse for being tardy (when they offer one at all)—the traffic was heavy, they had a physical problem, the dog ate their assignment, their computer went down, and so on. When decisions are made in their absence because the decision could not wait, they often show emotions ranging from disappointment to sullenness or rage that their input was not solicited. Managers joke that these folks will be “late to their own funeral.” Although these laggards may be the target of our light-hearted joking, over time, their consistent and ongoing tardiness, stubbornness, and sense of entitlement can result in lost productivity, loss of team unity, lower team morale, frustration, and resentment from managers and coworkers. These employees may be agreeable, apologetic, and possibly remorseful when challenged about their behavior; however, when confronted, they can also become defensive and even seem to be insulted! The only reason passive-aggressive employees advance in companies, and in life, is because they are smart, talented, or effectively manipulative. To succeed in the face of often fierce opposition is itself a talent! A hair stylist I know is routinely 30 to 60 minutes late for her clients, but they tolerate her tardiness because she does a good job. Her clients have adjusted their behavior as a means of dealing with her tardiness—but this only serves to reinforce the hair stylist’s passive-aggressive behavior! Passive-aggressive employees often are unable to change their behavior because it is rooted in anger, deep hostility, and wariness. Their passive aggression represents an inability to express frustration or anger in constructive or direct ways, and a lack of maturity, disrespect, and concern for other people’s feelings. These employees have somehow missed a crucial part of socialization that has to do with the development of empathy, intimacy, and collaboration. Instead, they have successfully been able to get others to conform to their way of conducting themselves, and therefore have little incentive to change. Psychologically, these individuals have never learned to express their hostility in a direct and constructive manner. In fact, they may assert that nothing is wrong and that they are simply disorganized or absent-minded. They will rarely take serious responsibility for their shortcomings or the discomfort and frustration it causes others. So what is a manager to do? Dealing with passive-aggressive employees is especially difficult because it is unlikely these employees will truly change their behavior. In larger companies, these are the employees who may have gotten “passed around” because of the frustration previous managers have had with them. But there are effective ways to manage passive-aggressive employees. Establish Individual Contributor Roles: Passive-aggressive employees are not good team players. In fact, they can negatively impact the function and morale of a team. To the extent possible, put passive-aggressive employees into an individual contributor role, in which the work they do is independent of others relying on them. Set Clear Boundaries: It is critical to set clear boundaries with passive-aggressive employees in terms of expectations, quantity, quality, and timeliness of work. Equally critical is for you to be consistent with your expectations and not waver in the face of seemingly good excuses. The less consistent you are with your expectations and the subsequent consequences, the more likely the negative behavior will continue. Schedule Regular Performance Meetings: With passive-aggressive employees, reviewing clear and documented assignments in regularly scheduled meetings (at least weekly) is critical to determining whether these employees are completing their assignments. During these meetings you can demonstrate both positive regard for work done as expected and specific feedback where modifications are necessary. Be vigilant against manipulation and in your resolve and expectations. Manage Emotions: Because passive-aggressive employees have not learned how to express anger or frustration appropriately, encourage them to discuss their feelings when things are not going well. You are not their therapist, of course, but giving them the opportunity to talk about what is really behind their behavior can help create a new paradigm for relating to issues that affect their performance. Manage Decisively: When old patterns of passive aggression emerge, act quickly and decisively to deal with them. Putting passive-aggressive employees on a performance improvement plan or redeploying them in the face of opposition are wise and sometimes necessary options. Similarly, when new and positive behaviors emerge, being quick to recognize them and reward individuals for their success will reinforce new patterns and ways to move forward. A client recently engaged me to help her with problems she was having in her business. Her small, ten-year-old, privately-held company was reaching a tipping point. The company had a strong client list with a decent backlog of business. She had good people working for her, and the upside was significant. What was the problem then? Upon initial assessment of the business, primarily through employee interviews and observations in key business meetings, the solution was clear. The founder needed to fundamentally change the paradigm of how she ran her organization. The company needed to evolve from one in which she controlled all of the pieces to one in which the business would become professionally managed. The implications all sounded logical and made sense to her; however, the reality was fraught with difficulties that started with the founder’s reluctance to give up control. By necessity, entrepreneurs view their businesses as “their baby.” They have “birthed” the business, nurtured and fed it, and helped it move from crawling to standing and walking. Like any parent, they are very proud as they see their fledgling business move past a point of surviving to the point of thriving. It would be impossible to hire anyone who would know the nuances and history of a business better than the founders. The growth of the business is usually a product of the founder’s persistence, instinct, and cunning. The way of conducting business is mostly in the head of the founder. It is common for there to be a paucity of documented processes or procedures that others can follow. Deals may be cut with customers that are haphazard and “spur of the moment,” with more of an opportunistic and short-term approach than one that is more strategic and intentional. Hires are typically made out of extreme necessity; roles, responsibilities, and job duties are poorly defined, if at all. Employees tend to gravitate to what needs to be done now, using the particular skills they already possess rather than what is good for the business long-term. Once a business reaches a “critical mass” that moves it from surviving to thriving, the founder then faces the consequences of their short-term planning. With the absence of repeatable processes, multiple people are involved in decision-making and tend to overlap or “run into” one another. The potential for customers to experience this internal confusion can be catastrophic, with potential quality lapses, inventory shortages or overages, and missed deadlines. This is where my client was. A thriving business can risk “the wheels coming off” if some drastic steps toward professional management are not taken. It is human nature not to want to change until there is a compelling need to do so, a point at which the pain of the situation exceeds the benefits. Even with a recognition that change is required, founders have great difficulty relinquishing control and trusting others to help in the process of “caring for their baby.” This is the typical dilemma of entrepreneurs: stay small and continue to manage it themselves, or grow larger and trust others to help in the process. The thriving business structure needs to move eventually from everyone on the staff being generalists and managing multiple tasks to having specialists. This requires looking at the structure of the organization and determining where specialists will truly add value. Because of the way entrepreneurs have created and grown the business, they tend to be micromanagers. The fear of others “screwing-up” the business, over-spending, hurting customer relationships, not managing operations tightly enough, and, especially, not doing things the way the entrepreneur has done them keeps these founders from hiring strategically and trusting people to do their jobs. Needless to say, this takes a significant leap of faith on the part of the founder. To be certain, there are inevitable fits and starts in changing one’s business to being more professionally managed. At times, there will be “bad” hires. 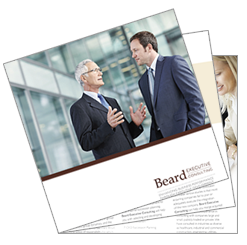 Customers may not want to change their relationship with the founder to a relationship with a senior business development professional. Suppliers that have become friends of the founder may find their prices or quality undercut by a competitor, causing distress for the founder. Favorite employees of the founder may be found to have been lacking in their performance. The chances for missteps are clearly present. In addition, the founders may see each bump in the road of transition as confirmation that they would have been better off to have stayed the course and never to have moved to a more professionally managed organization. The biggest challenge is for the founders to redefine their roles and move from tactical “doers” to more professional leaders, learn how to delegate and keep their focus at a higher and more strategic level. This allows them to look out for the future of the business and leave the managing of the current business to their staff. As always, a “trust but verify” posture is prudent, but it cannot be one of micromanaging, criticizing, or not giving people the opportunity to grow. Unfortunately, the risk of making changes often keeps founders from making them. They start down the path, only to retract and become once again over-involved in the business. As my client understood that to grow her business she would fundamentally need to change the way she thought about the company and her new role, she was met by feelings of both excitement and fear. She was determined to grow her business and choose the path of making the changes. Fortunately for her, she had the courage to make the changes to keep growing and the tenacity to stick with her plan. Some individuals seek to receive accolades by describing themselves as a perfectionist. This can be a form of “back door bragging,” especially if they disingenuously refer to perfectionism as a curse (e.g., “I can’t help it if I want things to be perfect!”). After all, a person would not want to be identified as the opposite of perfect. Perfectionists explain that their desire to have things just right is the reason they take longer, work harder, or miss deadlines. In addition, they are known to claim they would rather not do a task at all if they cannot do it perfectly. Perfectionists see the world in black and white or dichotomous terms. Being perfectionistic becomes a badge of honor that differentiates them from the rest of the world. However, by requiring perfection of themselves at all times, they become victims of their own irrational thinking that perfection is even possible. A common but misguided thought in business is that perfection is not only beneficial but critical to success. We have spell-check to make certain our documents are error-free. We are told that “God is in the details.” In sports, the adage is that “practice makes perfect.” Although emphasis on perfection is very important in certain areas, it can be an impediment in others. If you are a brain surgeon or a rocket scientist, there is no argument about wanting a physician or scientist to have a very high degree of precision. This would also be true for areas associated with safety, such as a zero-defect tolerance for problems with automobile airbags. In most professional areas, however, seeking perfection often leads to a diminishing return—the cost in time and money. Another line of thought that is more relevant to the business professional is captured best by the phrase, “Perfectionism is the enemy of the excellent.” In business, urgency typically does not allow for, or even require, perfect solutions. For example, university studies have found that perfectionistic professors have lower research productivity. Findings showed that a higher level of perfectionism was associated with a lower number of total publications as well as a lower number of first-authored publications. Psychologically, perfectionism is rooted in insecurity and emanates from a deep-seated fear of failure, which is self-defeating. Some suggest that perfectionism is a form of self-abuse because achieving perfection is an impossible task. In its extreme, perfectionism can be seen in obsessive-compulsive behaviors, including constantly cleaning, checking, and double-checking to make sure everything is in its place. Perfectionists view their professional work as an extension of themselves and do not have clear boundaries between themselves and their career. As a result, they take setbacks and criticism personally, and can have difficulty with authentic self-disclosure on the off-chance they may reveal something akin to a flaw. Perfectionists do not acknowledge that humans are incapable of perfection. Imagine looking for perfection when there is little or any of it to be found. This explains why perfectionists tend to be pessimistic. Their world is always a glass half-empty. Because of their need for exactness, they do not easily trust or work well with others. They can be critical and judgmental of the work of others. Secretly, they can take pleasure in the failure of others and use it to reinforce their own perfectionism. They can demonstrate excessive control needs, and, as managers, they tend to micromanage others. Perfectionists epitomize the saying of people who “can’t see the forest for the trees.” The larger context escapes them because they get over-involved in the details. They see the hole in the doughnut, but miss the doughnut altogether. They often procrastinate starting work because of the enormity involved in making their work too exact or meticulous. They do not have internal monitors that keep them from reaching the point of diminishing return in completing their work. They can never settle for “good enough,” because all they can see is what is left undone. Even when they complete a work product, they are dissatisfied. They are constantly “moving the goalposts.” They can think that catastrophic things will occur in the event that they leave something out or make a mistake. In its extreme, perfectionism can be associated with illness, including depression and anorexia, and even suicide. There is little about forms of perfectionism that is good for the individual or for the business. If you recognize these traits in yourself, here are ways for you to diminish your perfectionistic tendencies (and let yourself enjoy life more). People will like me even if I make a mistake. People will respect me completing work in a timely manner, rather than taking forever trying to do it perfectly. This will help you combat the stringent set of internal negative demands you often hear. Unless you really are a brain surgeon or rocket scientist, there is little negative consequence for a “good enough” outcome. Before embarking on a task, spend a few minutes thinking about the value of the task and the degree of work actually required. Ask yourself what level of imperfection you can tolerate. Calibrate your work effort to your new, more reasonable standard. When you are requested to do something outside of your work domain, consider turning the work down. Determine what the real consequences are for saying “no.” It will not be as severe as you imagined. If you are managing others, become intentional about allowing them to complete work in their own way, without excessive oversight from you. Compliment their work product and you will probably find that they want to please you and take delight in your praise. When you do something that demonstrates that you have reduced your level of perfectionism on a project, engage in something you really enjoy doing, such as being with friends, a nice meal, or some recreational activity. The good feeling of the reward can encourage you to manage your perfectionistic tendencies. The path to managing perfectionism is not an easy one. It requires practice, patience, and being kind to yourself. The ultimate benefit derived from overcoming perfectionism is that you will have a happier and an even more successful life. Stories abound about “the boss from hell,” that executive whose behavior causes havoc in the workplace through a persistent pattern of being entitled, unbending, dominant, arrogant, callous, or even brutal in his or her relationships with others. People working for such tyrants are always “walking on eggshells” to avoid triggering their wrath and often feel beaten down. Rather than focusing on what is best for the business, subordinates are often left trying to guess what will please these self-absorbed bullies. There is an expectation, or even a guarantee, that they will be well compensated for enduring the unhealthy behaviors of their boss. They are psychologically unhealthy themselves, such that the abuse feels familiar to them, and their own self-image is so poor that the conduct of their narcissistic boss reinforces it. They cannot get a job elsewhere, so they withdraw emotionally and continue to tolerate the unhealthy behavior. Narcissistic leaders have a bottomless need for power and admiration. Typically, they believe they deserve continuous special treatment, blame others for their problems, complain constantly of other people disappointing them, and bully and intimidate others. They are often grandiose, aggressive, and lack empathy. They rarely accept or acknowledge the damage they cause to others or to themselves. Consequently, they never see the need to change their behavior, and attempts to counsel or coach them are met with derision or contempt. Paradoxically, narcissism and excessive self-promotion and entitlement are often linked to low self-esteem. For narcissists, the means of compensating for a profound sense of inadequacy is to present an inflated picture of their capabilities to emphasize their superiority. However, this defense mechanism of convincing themselves that they are valuable—to avoid feeling ashamed of their inevitable human flaws—always comes up short and the cycle of controlling and demeaning behavior continues. Because of such well-constructed defenses, it can be extremely difficult for others to perceive the underlying sense of inadequacy felt by narcissists. Surprisingly, there is an upside to narcissism, which helps explain why companies may tolerate narcissistic leaders. In his research, psychologist Blaine Gaddis has found that narcissism is related to moving up in an organization, even though it is unrelated to leadership effectiveness. Narcissists are often good at taking initiative and achieving results in the short term. Narcissistic leaders believe they are more effective than those around them, and are aggressive, intimidating, and shamelessly persistent at self-promotion. Examples of successful narcissistic leaders include Ron Miller, former Disney CEO, and Steve Jobs, former Apple CEO. Both men were known as despots who were intolerant of others’ challenges and would even throw temper tantrums and be exceedingly punitive to get their way. These examples are the exceptions that prove the rule: unless the narcissistic leader is in total control and producing results (as Jobs did), his or her rise in an organization is often stalled once the abusive behaviors become more evident. With bosses who are clearly narcissistic, keep in mind that they are unlikely to change because of their tendency to view problems as being caused by everyone else. 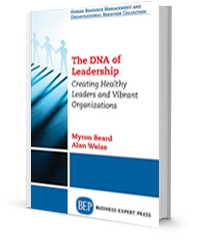 Your best path is to begin finding ways to exit their organization and move to another. In the event that you are unfortunate enough to be unable to leave their management, there are some things you can do to cope. Leverage their vision: Narcissists strive to be in positions of status and power. Their whole goal in life is to receive the kind of accolades they believe they deserve. By taking time to understand what the narcissist wants to accomplish in the company, you can actually partner with them to achieve their objectives. Successes that you have helped achieve can serve to satisfy their need for adulation, while allowing you to maintain a position of trust. Over time, it could lead to you helping your boss shape his or her future in a way that furthers the needs of the organization, and even your own career. Listen reflectively: Because narcissists require ongoing admiration and affirmation, reflecting back to them (i.e., mirroring) the positive contributions they have made to their organizations may keep them temporarily satisfied. Reflective listening needs to be truthful and related to actual accomplishments. Such a strategy will temporarily quell their anxiety and may allow you to do your work relatively free from drama. It is a strategy that needs to be repeated. Avoid confrontation: Any direct challenge to the behaviors of narcissists will be met with denial, and possibly outrage. By confronting the narcissistic leader, you run the risk of being publicly minimized and shamed. If you must have a difficult discussion with them, have it privately and significantly temper your concerns in order not to threaten them. Deflect praise: The narcissist is extremely competitive and becomes envious when those around him or her succeed. This is captured in what Gore Vidal once said: “Every time one of my friends succeeds, I die a little.” The narcissist is not able to enjoy the success of their subordinates because it takes the spotlight away from them. In the event that you receive praise and accolades for your work, be quick to include your boss as having been a supporter in the process. Narcissistic tendencies and behaviors can run the gamut from harmless and mild to extreme and even malignant. The strategies discussed above are more likely to be successful with bosses who have extremely high levels of narcissism. If these strategies do not work because your boss’s narcissistic defenses are “off the charts,” you may want to look for another job.